The free weekend is in celebration of the latest title update that added a new 4v4 PvP mode. While the reason for this weekend gaming boon may not be cooperative, we'll always take advantage of any reason to enjoy some good co-op gaming. Best of all, if you and your co-op crew are enjoying the title, then you can pick it up for 50% off until Monday, October 16 via Steam, or the following Monday (October 23) if you buy it off Uplay, the PSN store, and Microsoft Store (if you are an Xbox Live Gold member). Full details about the free weekend can be found on the Ubisoft FAQ page here. 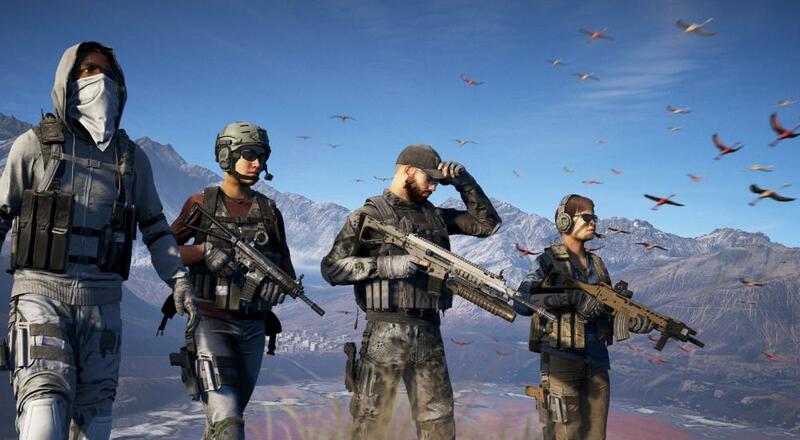 Ghost Recon Wildlands supports four player online co-op throughout the campaign and is available on PC, PlayStation 4, and Xbox One.